Time is a resource like any other. Time management is a great art. 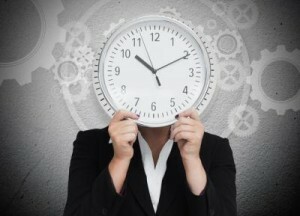 Below are the time management quotes given by top entrepreneurs. Have a look and follow them: The key is in not spending time, but in investing it. Stephen R. Covey Until we can manage time, we can manage nothing else. Peter F. Drucker One worthwhile task carried to a successful conclusion is worth half-a-hundred half-finished tasks. Malcolm S. Forbes If you don't know exactly where you're going, how will you know when you get thereSteve Maraboli The best time to start was last year. Failing that, today will do. Chris Guillebeau In entrepreneurship, there's a time to persevere, then there's a time you need to change course. Knowing what to do can be tricky. When something isn't working, sometimes you need to wait longer for your efforts to come to fruition. But there are also times when things clearly aren't working. Continuing to pursue those things only wastes your valuable time. Ross Hill We always overestimate the change that will occur in the next two years and underestimate the change that will occur in the next 10. Bill Gates Planning is bringing the future into the present so that you can do something about it now. Alan Lakein You can have it all. Just not all at once.Oprah Winfrey One reason so few of us achieves what we truly want is that we never direct our focus; we never concentrate our power.